Babies – they’re awesome! They’re cute and loveable and funny and surprising… and utterly life-changing. One moment you’ve got uninterrupted evenings and clear weekends, the next you’re exhausted and trying to keep a tiny bundle of adorable happy. 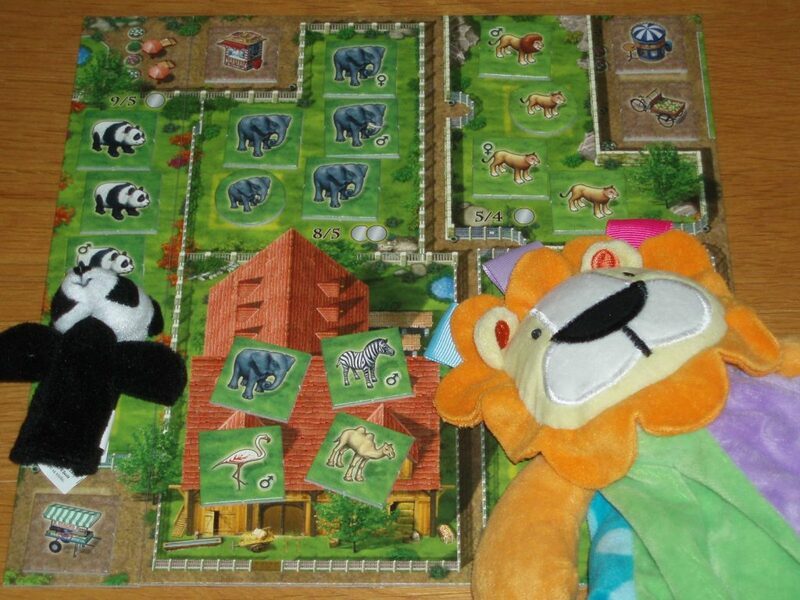 Like it or not, as a new parent you’ll have fewer opportunities to play board games. So how do you make sure you are able to keep enjoying playing games? Read on for our Top 6 Tips For Balancing Babies And Board Games (please note this is not a new dexterity game!). But first, a note about expectations and mental health. Babies are thieves, stealing your sleep, attention, energy, time and heart. You’ll have less time for board games and may have less inclination to play (and brain-power when you do). This won’t last forever, but for your own sanity prepare yourself mentally for the lifestyle change. Reduce your board game expectations and learn to appreciate those moments when you do get to the table. You’ll be happier if you do. Ok, on with the Top 6! Whilst the tips are written from the perspective of having a partner, if you’re a single parent most are still applicable. And if you are a single parent and still find time to play board games, please let us know your secret in the comments below! It’s very easy to wrap your entire life around your baby, it’s natural and sometimes essential. But parenting guides suggest that new parents try and have regular ‘date nights’ – time together without the baby to keep your relationship strong. Many new parents find staying in easier than making arrangements to go out and an evening spent playing board games is an excellent date night activity (recent research has revealed that playing a board game with your partner releases oxytocin which is important for pair bonding). Check out our Top 6 lists of Date Night and Valentine’s Day game suggestions for some ideas). If you want to go out together to play games then take advantage of willing and able family, find out about local babysitters or book leave from work if your baby is in nursery/daycare. A day off together without the baby can do wonders. The important thing is making the mental effort to plan to play board games. It sounds obvious but scheduling is hugely effective. Being a new parent can be draining and there are always more chores that need doing. Planning to play a game is the best defence against collapsing onto the sofa at the end of each day. Of course, there’s no guarantee that your baby will actually behave on your intended evening but it’ll increase your chances of actually playing tenfold. Your baby is asleep and you’ve decided to play a game. Great! But at any moment they might wake and need feeding or worse, changing. Stop faffing and quit wasting time! There’s little more frustrating than sitting down at the table, spending ages discussing what to play, getting it set up, remembering the rules, taking your first turn and then having to stop because your baby needs you. Decide what game(s) you want to play in advance and stick to it. If you have guests and want to give them a choice then provide limited options. Make deciding in advance a fun exercise in building anticipation. Get component-heavy games sorted in advance. Setting up a game the evening before increases gaming time, the likelihood of actually playing and helps to refresh your sleep-deprived brain about the game itself, reducing the amount of time spent rule checking. Alternatively, choose games with fewer components, reducing setup time and increasing gaming time. During play, keep analysis paralysis (prolonged periods of time that players can spend considering their turn) to a minimum. Explain the situation to your opponents, make sure that everyone playing is on the same page but be reasonable too – being rushed can feel stressful and you don’t need to play speed-Trajan! In those early stages you may be able to get away with holding your baby whilst you play board games but as they get more alert and active this just isn’t possible. Someone needs to be looking after the baby when they’re awake, someone who therefore can’t be playing board games. If you and your partner both play board games then alternate who is playing and who is on babysitting duty. If you’re hosting then swap between games or even part way through. Picking up your partner’s game state is a really interesting process, you can share current plans/strategy or challenge yourself by coming to the game fresh and working it out for yourself. If you’re going out, consider the needs of your baby and the expectations of your play group – whilst loud or grabby babies can push the tolerance of even the most understanding of players, quiet babies and accepting groups go well together. Discuss the idea with other players in advance and give it a try. Just remember that a baby can be distracting for other players as well as for you and that playing against someone who’s focussed on their baby isn’t much fun. Every baby, parent and group is different – this might not be for you or it might be a breeze. If bringing your baby along isn’t practical then take it in turns going to your regular board game event. You’ll miss out on time together as a couple but it gives the person playing a break, some time without the worry. Just make sure you both agree about the amount of time you’ll each be away, the frequency of who attends and then stick to those plans to prevent resentment. Team up with other gamers with small children for double play dates – the offspring can sleep near each other/play together (depending on age) whilst the adults play board games. Take turns being the carers: three couples with children mean that 2-3 of you can be shepherding the kids whilst the rest are playing board games. 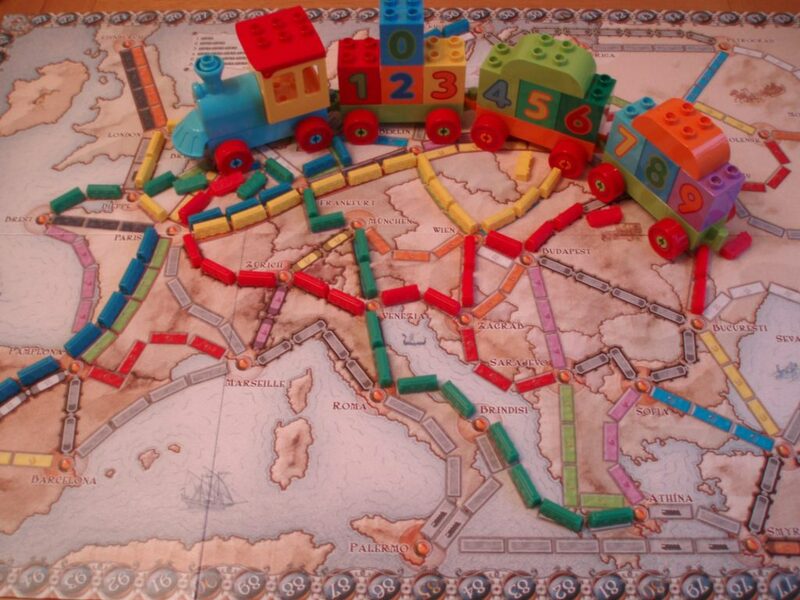 It’s a great way of sharing the load, socialising (both you and the children) and getting to play board games. As a new parent you may find yourself going to bed at times when previously you’d just be heading out. So work within your new limits. Play longer games over multiple evenings. This is easier if you are playing with your partner at home but starting a game of Caverna or Lorenzo il Magnifico (for example) one evening and finishing it the next can be a very rewarding process. You might worry about losing your flow but you can always make a quick note of what your current plans were when you paused the game. What’s more, by breaking a longer game up like this you can use the time to analyse the current game state and what you plan to do next. There’s something very satisfying about pondering a game during the day and returning to it that evening. You may see things from a different perspective and discover strategies that were previously obscured during the interchange of turns. Embrace this way of playing and it can be just as rewarding as before. If you’re pushed for space you could even buy a recessed table with a cover (for example Geeknson) which would allow you to leave board games set up during the day without sacrificing table space or leaving components at the mercy of little hands or family pets. There’s a reason new parents shouldn’t operate heavy machinery. Making any form of complicated decision when you’re exhausted is hard. Even now, when my son is a toddler and my sleep patterns slightly better, just looking at the board of Teotihuacan hurts my brain. Make things easy for yourself and play less complex games. 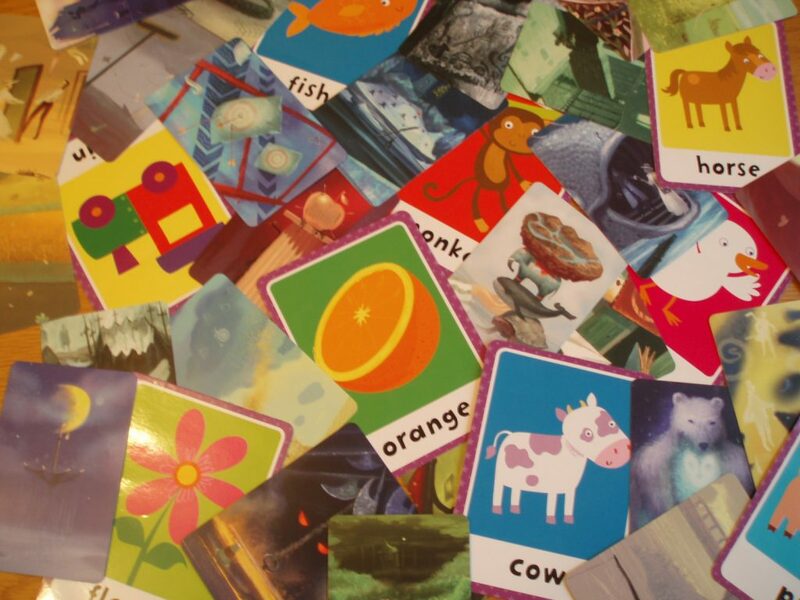 The joy of games like Reef, Broom Service or Azul is that whilst the decisions you make on a turn are straightforward, there’s depth lurking behind them; check out our top 6 games for tired parents for some great suggestions. Shorter games are also often less complex. Give yourself the satisfaction of finishing a shorter game rather than starting a vast point salad game and calling it a day part way through. Help your brain out and steer clear of the plethora of options that games like A Feast For Odin present you with every turn. 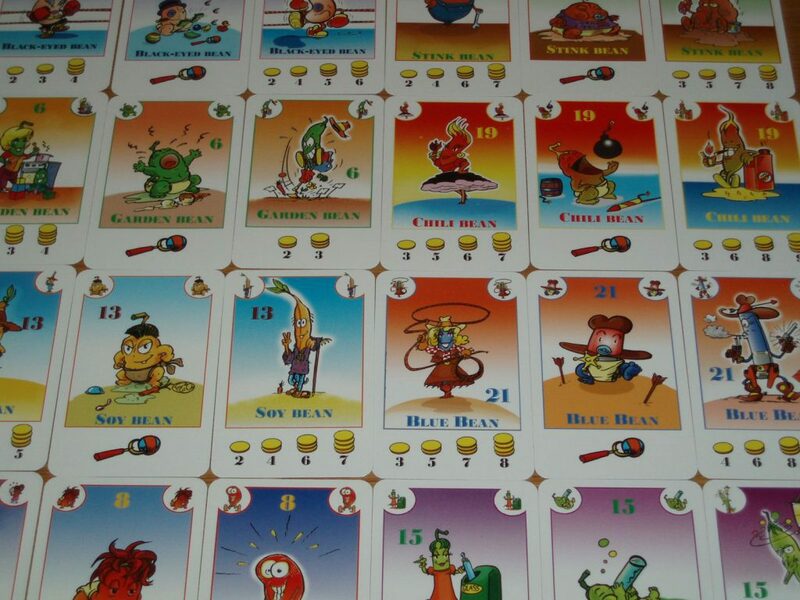 As socialising becomes harder your partner may become your main opponent so look for excellent two player games. There are some great ones out there, check out Meeple Mountain’s Top 6 Two Player Games list and our Two Player Spotlight series to give you plenty of ideas. If your partner isn’t interested in board games or is too tired then a solo board game could give you that cardboard fix. There’s a whole variety of resources for Playing Solo, and Meeple Mountain have published a Top 6 Solo Games list and have a growing archive of solo game reviews and articles. 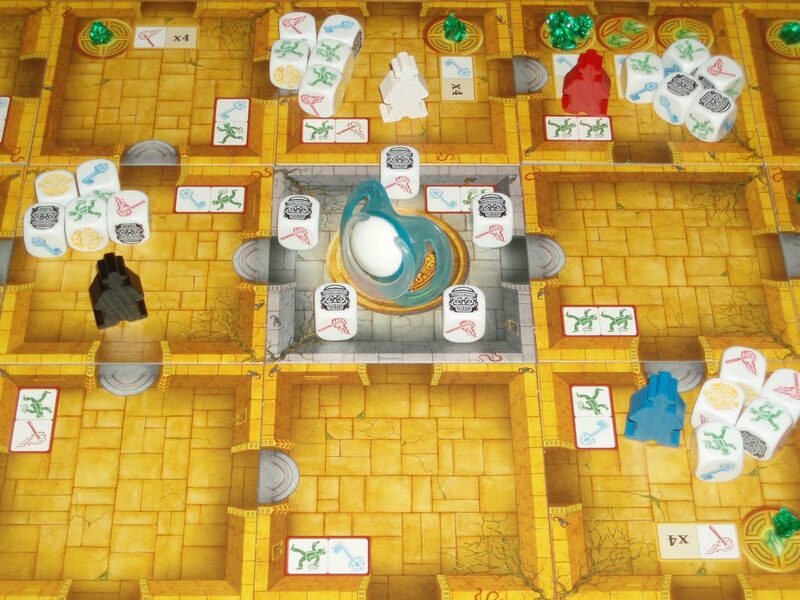 These days there are some fantastic board game apps (check out our Board Game Apps archives for ideas), whilst various online sites allow you to play a whole raft of board games either turn-based or live (great examples are BoardGameArena.com, Yucata.de and Boiteajeux.net). For speed and convenience they’re hard to beat: no setup or take down time, you don’t need to leave the sofa or clear the table of baby paraphernalia, and you don’t need to spend time updating the board or keeping track of various counters/rules. Parenthood is expensive and board game apps or websites also allow you to try new games without breaking the bank. Play in a way that suits your situation: pass-and-play with your partner, solo against the AI or against human opponents online. 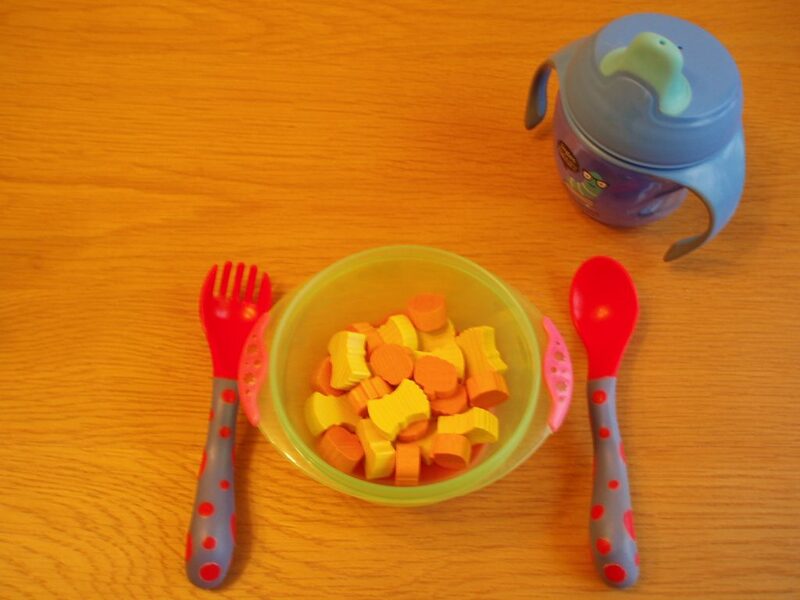 You can even play digital board games whilst feeding your baby! Rolling dice on a hard surface makes a lot of noise and wooden tables are especially loud, noisy enough to wake my son upstairs if I’m not careful. It’s a mistake you only need to make once! It’s also easy to get invested in a dice roll. The roll may be quiet but the resulting exclamation of excitement isn’t. It’s not just dice: the turn of a card, the placing of a train route, the collapse of a Jenga tower, all these things prompt the invested players to cheer or groan – it’s part of what makes board games so much fun. Real-time games are particularly problematic: I’d never try and play Escape: The Curse of the Temple when my son is sleeping! It’s here that we find some of the more frustrating aspects of playing board games around babies. It’s hard to invite friends over and then ask them to keep it down whilst you play so you don’t wake the baby, to not whoop or cry ‘Noooo!’ when something happens in the game. A game night is a social occasion but you dampen some of the enjoyment by asking people to be quiet. Be aware of the games that you want to play at home whilst your baby is sleeping. I haven’t stopped playing dice games but I’m aware of the best times to play them. For noise reduction, dice towers can help but rolling onto fabric is best – setting up a felt-lined dice tray can work wonders. Explain the situation to your friends in advance so that they know what to expect. Close doors and play background music so that sudden noises aren’t as jarring. Choose games that provoke more silent pondering than rowdy arguing. Build whispering into the game itself: the social interrogation of The Resistance can be even more involving when conducted at a clandestine whisper. Having a baby is incredibly rewarding but it requires sacrifices. 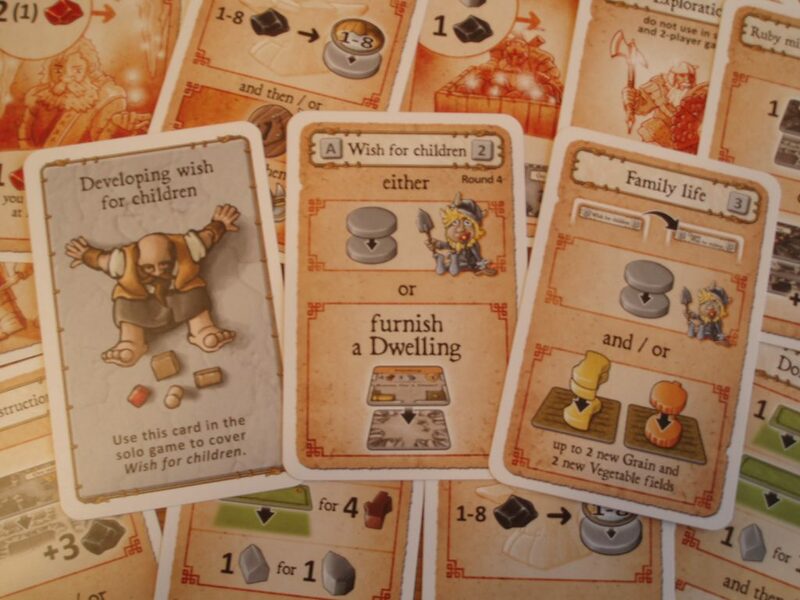 You spend a turn placing your worker on ‘Wish for a baby’ rather than going on expeditions or gathering resources. The tips above won’t find you the extra time but they will help you to make the most of those precious moments when you do get to game. Planning effectively gives you the best chance of success. You won’t always succeed, you may even find board games take a back seat for a while. That’s alright, it’s not forever. 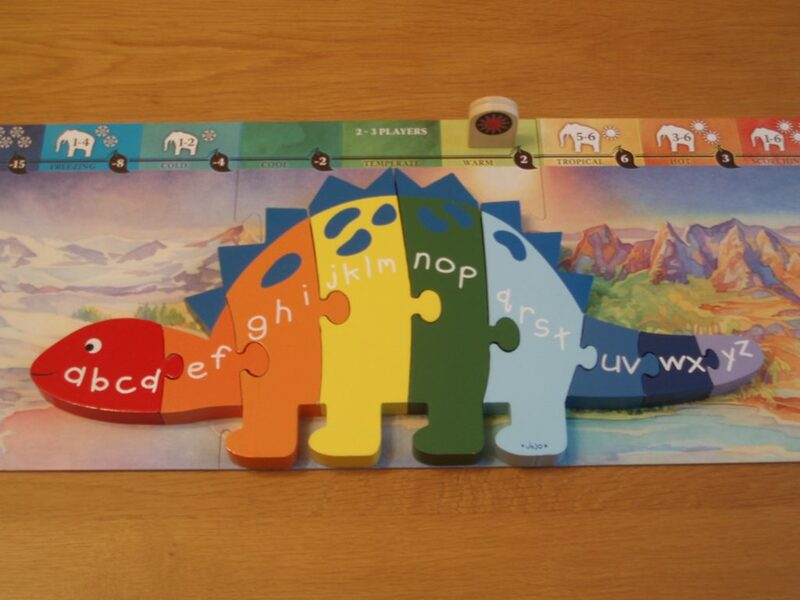 In the meantime enjoy discovering the rules of the world’s oldest game – Parenthood – and look forward to introducing your pride and joy to games for younger and then older kids in a few years!